Add distinctive, dimensional diamonds to quilt blocks, sashings and borders. Embellish clothing. Make unique purse straps. 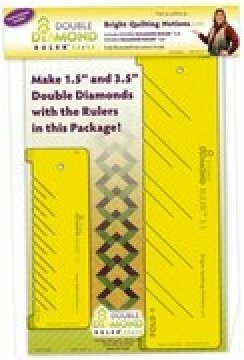 Each package contains two sizes, so you can make 1-1/2in and 3-1/2in wide diamonds. Complete illustrated instructions are included.